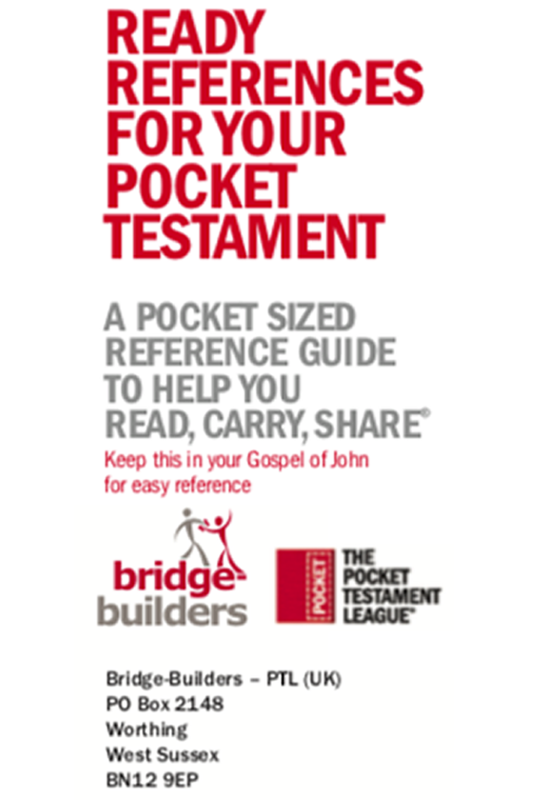 A wonderful reference pocket guide to help you read, carry, and share. Millions of these have been shared all over the world. Very simple helps: Great Bible verses, Man’s Questions, God’s Answers, ABC’s of Salvation, Objections Answered, How to Live the Christian Life.